These empanadas are a quick and easy preparation with a filling of turkey, mashed potatoes, and dressing, along with some complementary seasonings. Refrigerated pie crusts make this recipe especially easy. 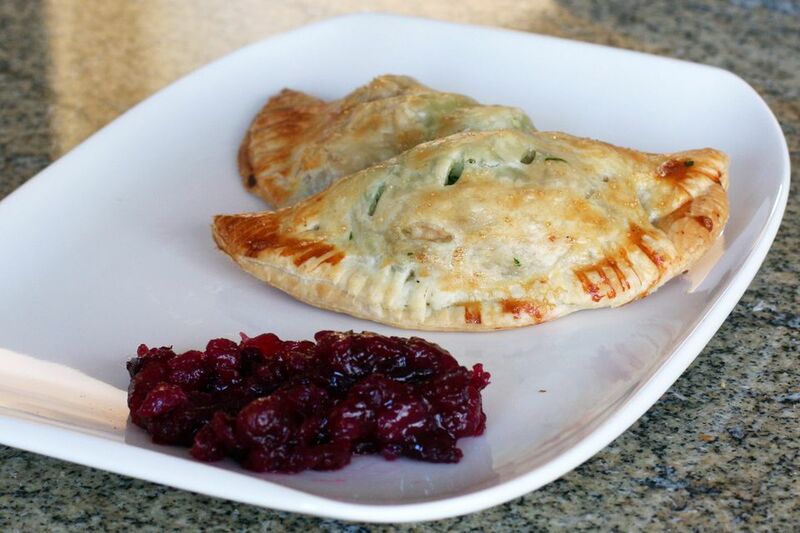 The turkey empanadas are a fabulous way to use all of your Thanksgiving leftovers, and the little hand-held pies are delicious with cranberry sauce on the side. On a lightly floured surface, roll each pastry round to about 12 inches. Cut out three 6-inch rounds, then roll the remaining scraps out to cut out 1 more 6-inch round. Repeat with the remaining pastry sheet. In a small bowl, combine the turkey with the gravy and set aside. Combine the mashed potatoes with parsley in another small bowl. On each 6-inch round, mound about 1 1/2 tablespoons of mashed potatoes. Top with about 1 tablespoon of dressing, then about 2 to 3 tablespoons of the turkey mixture. Sprinkle with a little salt and pepper. Cut a few slits in the top of each empanada and arrange on a parchment paper or silicone lined baking sheet. Wet the edges with water, fold over, and seal with the tines of a fork. Beat the egg white and water together and brush each empanada lightly with the mixture. Bake for about 12 to 14 minutes, or until nicely browned.